Sir Frederick 'Fred' Hayward, JP was an important figure in the co-operative movement of Staffordshire and held important roles in the Co-operative Union and the International Co-operative Alliance. He served as Lord Mayor of Stoke-on-Trent. Hayward was born in Burslem to James Hayward and Letty Bennett. His father was a potter and for many years a prominent member of the executive of the Pottery Workers' Society and a director of the Star Mutual Building Society. His brother Albert was later involved in the Halesowen Co-operative Milk Society. The family moved to Tunstall and by the age of ten, Hayward was working part-time in the pottery industry, leaving school at 12 to work in a clothing shop before returning to the pottery trade. In 1900 he married Mary Hudson. In 1901, Hayward was one of the founder members of the Burslem Industrial Society and in 1902 became its part-time secretary. In 1906 he was able to work full-time for the Society as secretary, and served in this position until 1920, by which time it was one of the ten largest societies in the country. That year he became managing secretary, working until his retirement in 1935. He also rose through the ranks of the Co-operative Union, joining the Macclesfield, Crewe and District Conference Association in 1911, the north west sectional board in 1915 and to the national board the same year. He served as chairman of the main board of the Union 1918-19 and again 1920-21 and 1924-32. He was President of Co-operative Congress at the 1919 Carlisle Congress. He also presided over the special Congress at Blackpool of 1920 which met to consider the report of the General Co-operative Survey Committee. Hayward was also active in the politics of Staffordshire. In 1906 he became a member of the Wolstanton and Burslem Board of Guardians and in 1910 was elected to the new Stoke-on-Trent Borough Council, serving until 1930, as an alderman from 1913. He was made a JP in 1919 and often presided over the Burslem court. In 1925 he was appointed chairman of the overseers of the city and the following year he served as Lord Mayor. He was chair of the finance committee of the council 1928-32 and 1934-35 and was made a freeman of the city in 1933. In 1922, Fred Hayward joined the joint parliamentary committee of the Co-operative Union and served as its chairman from 1927 to 1942. He was elected to the central committee of the International Co-operative Alliance in 1927 and to its executive in 1931. During the debates over taxation of co-operative societies in the early 1930s, he led the campaign against their unjust imposition, giving evidence before the Raeburn Committee 1932-33 and presiding over a special conference in London in 1933 about the imposition of income tax on co-ops. He served again as Congress President in 1941. Fred Hayward was knighted in 1931. With failing health he retired as managing secretary of Burslem in 1935. His leg was amputated in 1940 and he went blind in 1942, nevertheless continuing to be active in building support for co-operators in war-torn Europe. He died in 1944. 1876 Born in Burslem on 19 February 1876, the son of James Hayward and Letty Hayward (nee Bennett). 1877 Before he was a year old Fred's parents moved to Tunstall. Attended the Central Board School, Tunstall. 1886 Half-time jigger-turner in a local pottery at the age of ten. 1888 Left school altogether at age twelve - working for two and a half years in a clothing shop. c.1891 Returned to the pottery trade as an apprentice biscuit placer and remained in it till 1904. 1900 Married Miss Mary Hudson. 1901 Frederick Hayward was one of the founders of the Burslem Co-operative Society. In the 1901 census Fred Hayward and his wife Mary (nee Hudson) were just married and living in Gibson Street. 1902-6 First part-time secretary of the Burslem Co-operative Society. 1904-10 F H was a member of the Wolstanton and Burslem Board of Guardians. 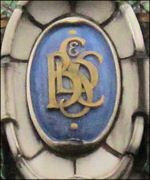 1906-20 Became full-time secretary of the Burslem Co-operative Society. 1910 He was elected a member of the newly formed Stoke-on-Trent County Borough Council and served continuously for twenty years. 1911 Fred Hayward was elected to the executive of the Macclesfield, Crewe and District Conference Association of the Cooperative Union. 1913 He was elected an alderman at the age of thirty-seven. 1915 Elected to the north-western sectional board of the Cooperative Union. 1915 Elected to the central board of the Cooperative Union. 1918-19, 1920-1 Chairman of central board of the Cooperative Union. 1919 Elected president of the Carlisle Congress of the Cooperative Union. 1919 He was made a JP, and often presided over the Burslem court. 1920 F H became managing secretary of the Burslem Co-operative Society until his resignation on health grounds in 1935. 1922 He was elected to the joint parliamentary committee of the Co-operative Union. 1924 to 1932 Chairman of central board of the Cooperative Union. 1920 Elected president of the special Congress at Blackpool called to consider the report of the General Co-operative Survey Committee (1914-19). 1925 He was appointed chairman of the overseers of the city and was chosen Lord Mayor of Stoke-on-Trent. 1926 Served as Lord Mayor of Stoke-on-Trent. 1927 Fred Hayward was elected to the central committee of the International Co-operative Alliance. 1927-42 Chairman of the joint parliamentary committee of the Co-operative Union. 1928-32 Appointed as chairman of the finance committee of Stoke-on-Trent. 1931 Became a member of the executive of the central committee of the International Co-operative Alliance. 1931 Fred Hayward received a knighthood in the birthday honours list. 1933 Presided over a special national conference in London on the imposition of income tax on co-operative societies. 1933 Was admitted a freeman of the city of Stoke. 1934-35 Appointed as chairman of the finance committee of Stoke-on-Trent. 1935 Resignation as managing secretary of the Burslem Co-operative Society, on health grounds. 1932 - 1944 Fred Hayward was appointed chairman of the new national authority and of the national executive and occupied these offices until he retired in 1944. 1940 Fred Hayward had a leg amputated. 1941 Elected president of the Edinburgh Congress of the Cooperative Union. 1942 he became blind, but in spite of his handicaps, he continued much of his activity. 1944 Died on 19 November 1944 and was cremated at Carmountside Crematorium, Stoke-on-Trent, on 21 December. Fred Hayward was born in Burslem on 19 February 1876. He was the son of James Hayward, a potter, who for many years was a prominent member of the executive of the Pottery Workers' Society and a director of the Star Mutual Building Society. Before he was a year old Fred's parents moved to Tunstall where he spent his early life. He attended the Central Board School, Tunstall, became a half-time jigger-turner in a local pottery at the age of ten and at twelve left school altogether. After working for two and a half years in a clothing shop, he returned to the pottery trade as an apprentice biscuit placer and remained in it till 1904. 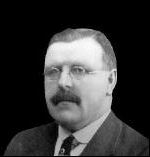 He was one of the founders of the Burslem Co-operative Society in 1901, became its first part-time secretary, 1902-6, full-time secretary, 1906-20, and managing secretary from 1920 until his resignation on health grounds in 1935. The Society had made great progress under his leadership and after his resignation retained his services in an advisory capacity. When he became managing secretary in 1920 the Society was one of the ten largest in the country. In 1911 Fred Hayward was elected to the executive of the Macclesfield, Crewe and District Conference Association of the Cooperative Union; in 1915 he was elected to the north-western sectional board and, from that time on, the Co-operative Union was, in his own words, 'practically all my life'. He was elected to the central board of the Cooperative Union in 1915 and was chairman 1918-19, 1920-1 and from 1924 to 1932 when the new constitution of the Co-operative Union, which as chairman of the committee of inquiry into the constitution of the Union he had helped to frame, came into operation. Almost as a matter of course he was appointed chairman of the new national authority and of the national executive and occupied these offices until he retired in 1944. He was president of the Carlisle Congress in 1919 and of the special Congress at Blackpool in 1920 called to consider the report of the General Co-operative Survey Committee (1914-19). As chairman of the central board, he was ex officio president of the annual congress for a number of years and was elected president of the Edinburgh Congress in 1941, such a second presidency being unique in co-operative history. He was elected to the joint parliamentary committee of the Co-operative Union in 1922, became its chairman in 1927 and retained this office until he retired from the committee in 1942. He led the campaign against what he regarded as the unjust imposition of income tax on co-operative societies and presided over a special national conference on this issue in London in 1933. He travelled all over the country addressing meetings, frequently interviewing officials of the Treasury and giving evidence before the Raeburn Committee of 1932-3 on the taxation of co-operative societies. At various times he served as chairman of the Cooperative Milk Trade Association and of the Co-operative Meat Trade Association and was chairman of a committee of inquiry into the constitution of the CWS (1921). He was always interested in the international side of the co-operative movement. In 1927 he was elected to the central committee of the International Co-operative Alliance and in 1931 became a member of its executive. In 1934 he welcomed the ICA Congress when it met in London. In 1936 he and his wife, together with A. V. Alexander MP and Mrs Alexander, attended the Conference of the Institute of Pacific Relations in California and addressed a large gathering of co-operators at Los Angeles. During the Spanish Civil War (1936-9) he helped establish a special fund to send milk to undernourished child war-victims. One of his last public acts was to urge the creation of a freedom fund to help continental co-operators in Nazi-occupied territories when their countries were liberated. This appeal was launched by the Co-operative Union in March 1943 and became part of a worldwide appeal for relief and rehabilitation sponsored by the International Co-operative Alliance. Treasury currency restrictions and food control immediately after the war placed obstacles on the immediate utilisation of the fund. However, as a result of the fund, France secured £50,000 and Belgium, the Netherlands, Poland and Yugoslavia £35,000 each in value (some of the help being in kind). In this way the co-operative movements in Europe were more easily able to resume normal activity, and the balance of the British fund was passed to the ICA Development Fund for assisting the newly-emerging countries. Although Fred Hayward described the co-operative movement as practically all his life, he found time for much other public work. He was a member of the Wolstanton and Burslem Board of Guardians (1904-10) and a prime mover in the transfer of children from the workhouse to scattered homes. He was first chairman of the scattered homes committee. He worked for the federation of the pottery towns and, when this was accomplished by the establishment of the new Stoke-on-Trent County Borough Council in 1910, he was elected a member of that Council and served continuously for twenty years. In 1913 he was elected an alderman at the age of thirty-seven and in 1919 he was made a JP, and often presided over the Burslem court. For a time he was chairman of the Labour group on the Council. In 1925 he was appointed chairman of the overseers of the city and in the same year was chosen Lord Mayor of Stoke-on-Trent. Among his great services to the city of Stoke was in the sphere of finance. First appointed as chairman of the finance committee in 1928, he held this position until 1932 and again in 1934-5. He was a member of the Coal Mines National Industrial Board established under the Coal Mines Act (1930), received a knighthood in the birthday honours list of 1931 and in 1933 was admitted a freeman of the city of Stoke. Sir Fred Hayward suffered much in his last years. In 1940 he had a leg amputated and in 1942 he became blind, but in spite of these handicaps, he continued much of his activity. In this, as throughout his life, he was much helped by his wife (formerly Miss Mary Hudson) whom he married in 1900. Lady Hayward was devoted to public work, especially in connection with the Board of Guardians and charitable institutions. Fred Hayward died on 19 November 1944 and was cremated at Carmountside Crematorium, Stoke-on-Trent, on 21 December. He left an estate valued at £5417. Writings: The Co-operative Boycott and its Political Implications (Manchester, ) 16 pp. ; Should Co-operative Societies pay Income Tax on the Amount returned to Members as Dividend? (n.d.) 12 pp. Sources: Co-op. Congress Reports (1919) and (1941); Kelly (1938); Co-op. News, 3 June 1944; Co-operative Press records, Manchester; Co-operative Union Library, Manchester; personal information: North Midland Co-operative Society, Burslem. Obit. Evening Standard [Stoke], 19 Dec 1944; Co-op. News, 23 Dec 1944; Co-op. Congress Report (1945).